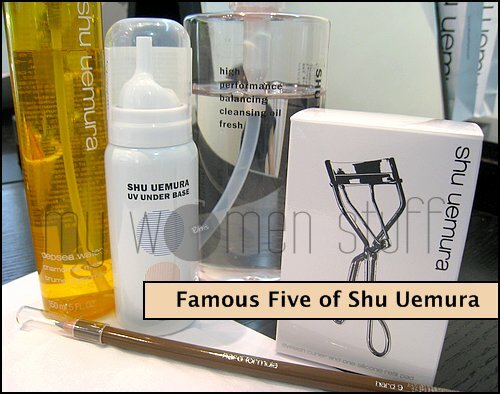 The only product I’d not tried was the Shu Uemura UV Under Base – a makeup base which I’m told can also be used daily even without makeup to counter external aggressions. Personally, I wouldn’t quite because it did not do much to either offer coverage or even out skin tone. It makes a lovely base for makeup though so if you’d like something light, apply this mousse base and then use some loose powder over and you’re good to go! One item I’d been using for years and years is the Shu Uemura Eyelash curler. Of all the eye lash curlers I’d tried, this is the best to suit my eye shape. I like the eyelash curler and yes, I’d say its an iconic product and well deserving of its title. I will not venture to say that it will suit everyone because I know of some people who do not like it or for whom it pinches due to their eye shape. Eye lash curlers are a personal thing. If eyes are the windows to the soul then the eyebrows must be the frames. Whilst I am happy to be blessed with relatively tame yet dark enough brows, not many others share the same fate. Hence the need for eyebrow grooming kits. 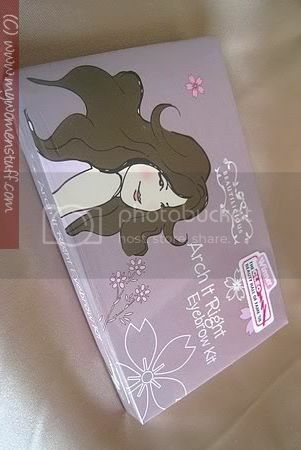 Local drugstore brand Beautilicious has one in the Arch it Right eyebrow kit. What you get in a slim compact kit is a set of 4 eyebrow stencils, a tweezer, a brow brush and 2 brow colours to fill in your brows after taming and shaping them. The kit comes with 4 eyebrow stencils. Now, I’m not an advocate of stencils of any sort but when it comes to brows, I must say these are a great idea. What it does is give you an idea of the approximate shape your brow should take so you can tweeze away the extra hairs. What you should NOT do is follow the stencil religiously to the extent that you end up looking perpetually surprised. Remember, we are all different and no kit can make us all the same. The stencils in the Beautilicious Arch it Right eyebrow kit are of very soft silicone. 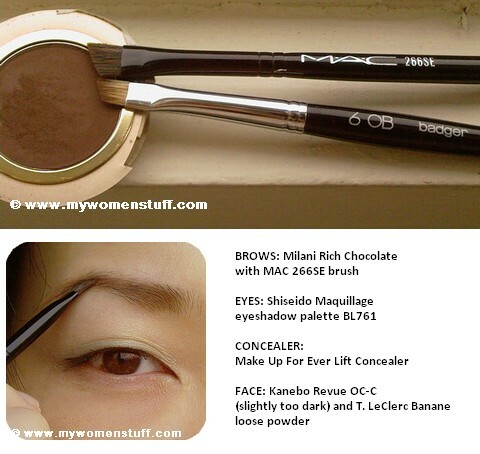 This helps it conform to the contour of your face which makes it easier for you to see how best to shape your brow. There are 4 included – Natural, Fine, Super Fine and Full depending on how you like your brows to look. I prefer the Natural or Full look. The shape of the stencil is quite natural with a gradual arch so you don’t look like Bozo the clown. I have been using my Shu Uemura brow pencil for a while now. However, it needs sharpening and I’m too busy to go down to the local Shu Uemura counter to get it sharpened properly. So, I decided to fall back on an old method of drawing in my brows – using an eyebrow brush. I have 2 brushes which I use for this purpose – MAC 266SE (which came as part of their holiday travel set) and Shu Uemura 6OB badger brush.